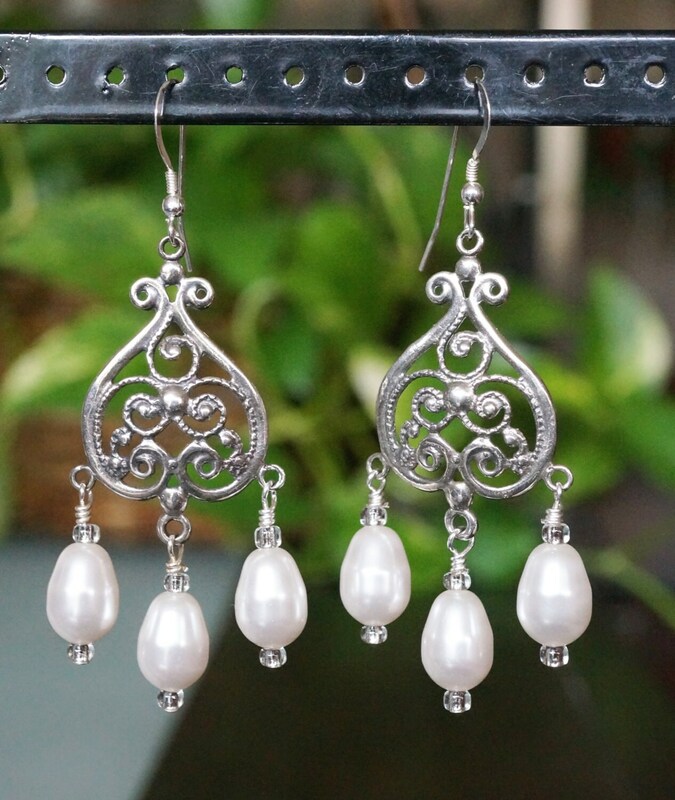 What an inspiration these earring findings were! Beautiful sterling scrollwork! Even would look great on a bride! These are very neutral, and can go great with anything you wear. All the components are sterling silver. 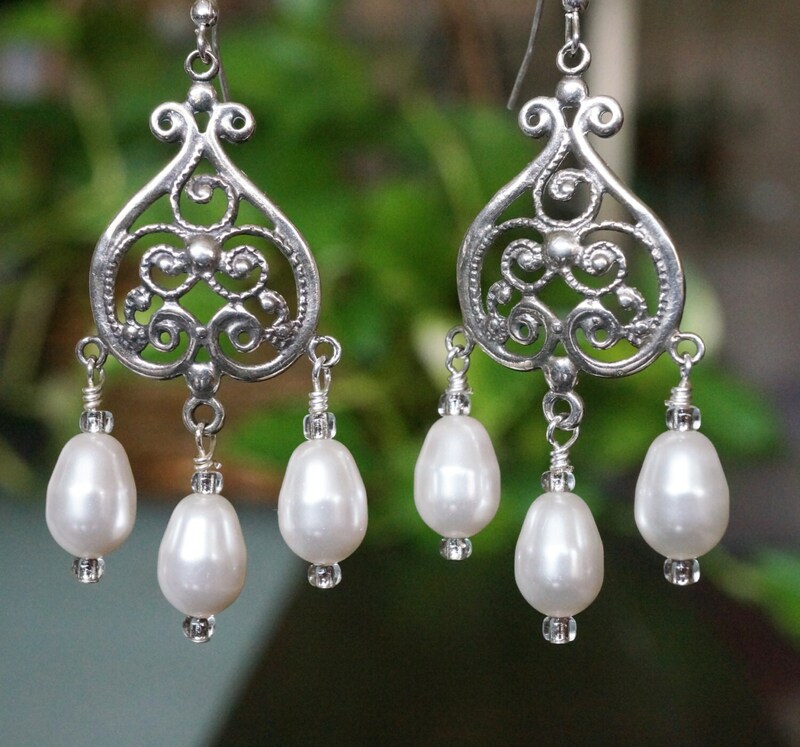 The supple looking pearls are Swarovski drops. I used Swarovski pins to finish the bottom of the pearls with a bit of bling. If you would prefer these earrings on posts, I could find ones that would work well with this design. There would be no extra charge. I would show you a picture for your approval. I can also make a custom necklace or/and bracelet to go with these earrings. Just message me.